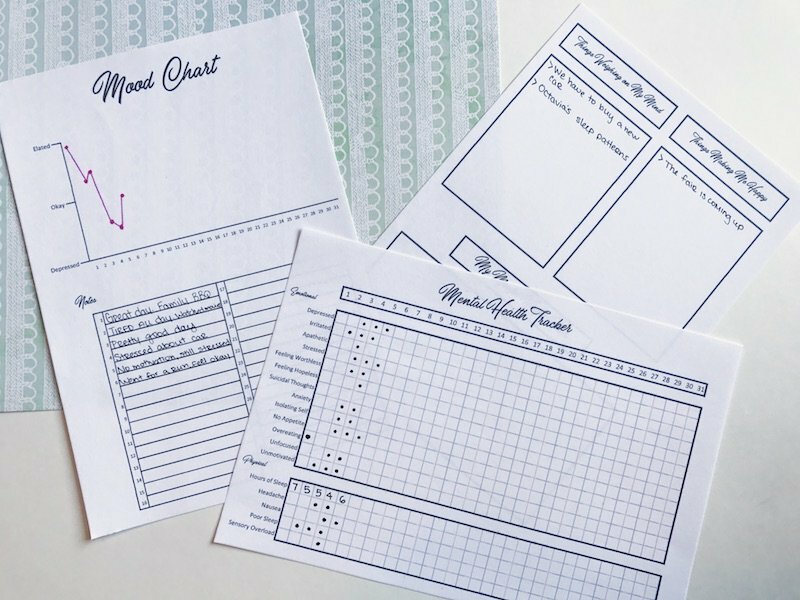 This 3-page mental health tracker will help you track your symptoms, mood, and triggers. It will allow you to see possible correlations so you can improve your overall self-care. Whether you live with depression, anxiety, or another mental disorder, normal day to day life can be a struggle. Up until recently, I didn’t completely comprehend mental health. I still don’t. But, after years of watching my sister battle depression and anxiety, I realized I’ve been struggling too. While I haven’t been diagnosed with any of the above mental disorders, I’ve talked extensively with my sister about my symptoms, and we are both led to believe that I may be dealing with depression. This could be post-partum depression since I had a child 10 months ago, or maybe it’s clinical depression. Either way, I know I want to try and control it on my own, without medicine. I understand this is a sensitive topic, and I could easily offend someone. Please understand that I have no intentions of that. Nor do I believe that I’m the most knowledgeable person on the subject. What I’m expressing doesn’t and won’t work for everyone. Don’t take my word as gold. I’m just trying to open up a door for people who have tried other options without success. So, please understand that I am not trying to force any ideas down your throat. 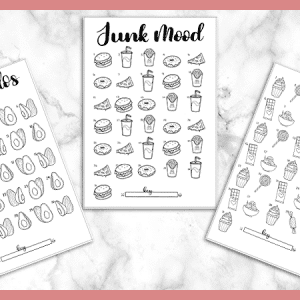 To start, I knew I wanted to track my mental health and symptoms in my bullet journal. It’s where I keep everything important in my life, and it’s been an irreplaceable resource. 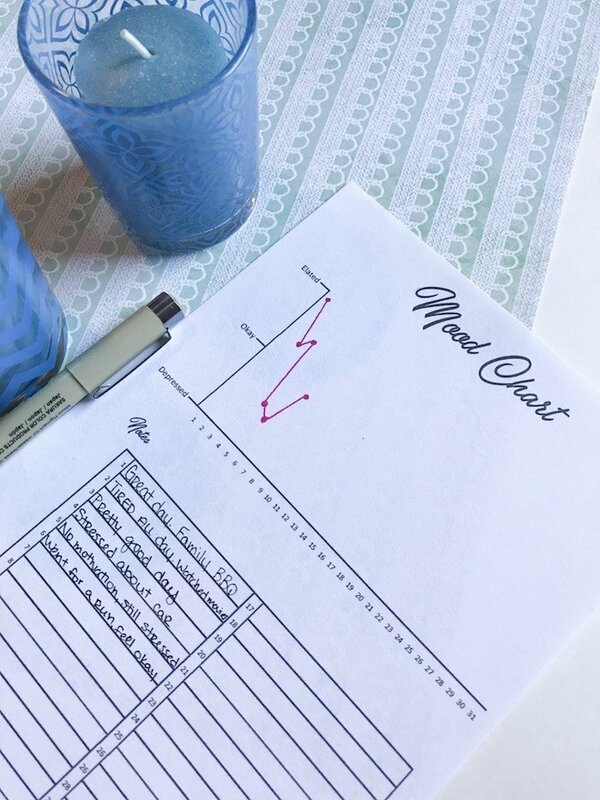 I use it for my health and fitness, for tracking my personal habits, and everything in between. I’ve been able to see noticeable patterns in productivity, my mood, etc. So, tracking my mental health seems crucial. 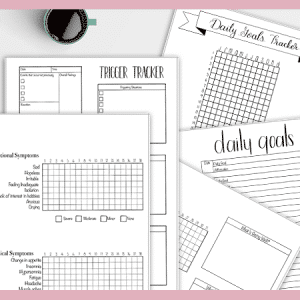 I’m sharing this printable 3-page tracker with a monthly symptom tracker, mood chart with a corresponding note section, areas to write in things that make you happy and unhappy, and a place to set up an action plan for your mental health.
. To cut these out I highly recommend a straight edge paper cutter, like this one. Be sure to click ‘Actual Size’ in the printing options. 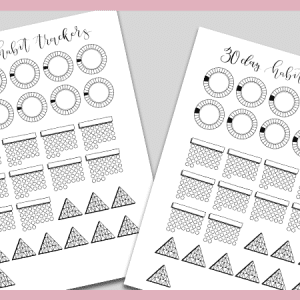 Want access to all of my printables? 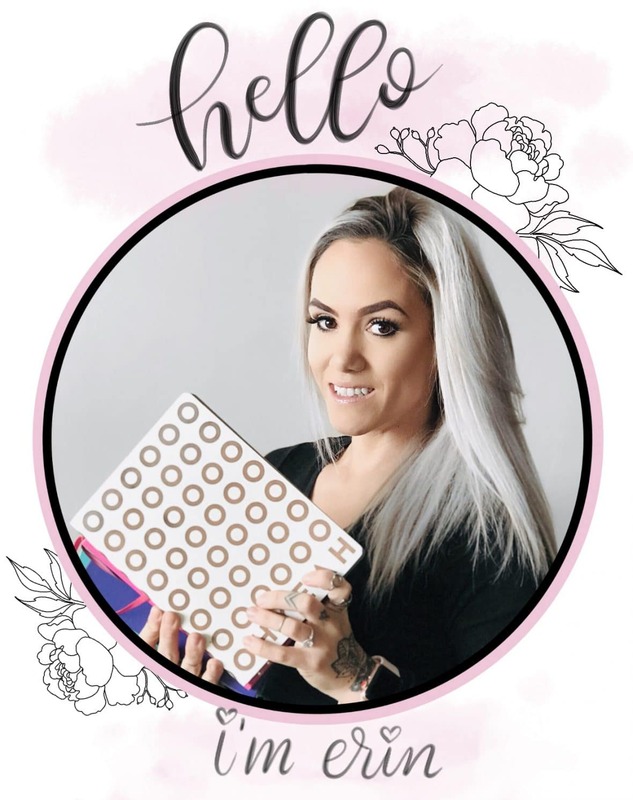 Subscribe to my Newsletter and you’ll be able to join the VIP Resource Library with exclusive downloadable content. These are fantastic! Thank you for putting them out here. Absolutely! I’m glad you like them!